Q: Would you say that art is your first love? What kind of art interested you in the beginning? A: It fills out a big part of my life, but I won't say it's my fist love. I was interested in every medium of art that tries to visualize the reality, but just to mention some of them: airbrush and drawing. Q: Who is the person you are most grateful when it comes inspiration? A: There are many people that inspire me, therefore I don't want to mention any of them. Q: I bet you've had lost of fun, during you art journey, how has your style developer throughout the years of experience? 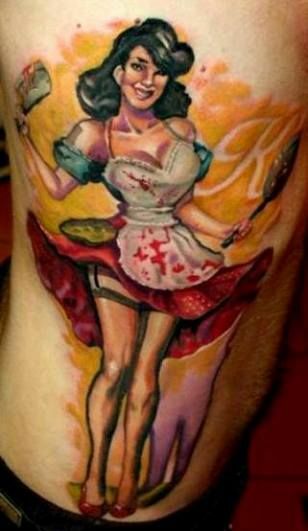 A: At the beginning, I used to work on realistic tattoos in black and grey, then when I thought I have enough experience to try out something new, I started to work on color tattoos in new styles. I try to do tattoos in different styles because I don't want to get bored in any of them, but nowadays I like to work in new school and kind of cartoon style. 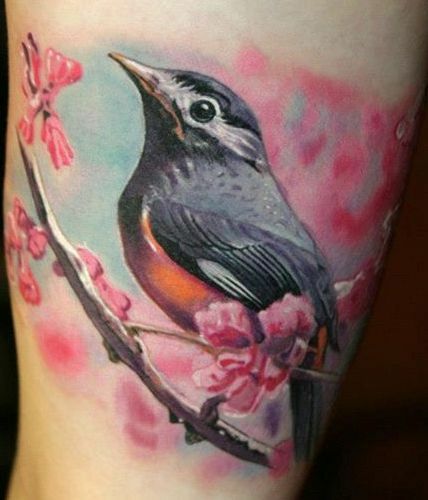 Q: Realistic tattoos are really remarkable designs in your portfolio. Do you remember when the impression for this kind of work first began? A: In my entire life I was interested in the realistic art, so for me there was no first impression to start this kind of art, it was obvious. Q: Your color tattoos are brilliant. 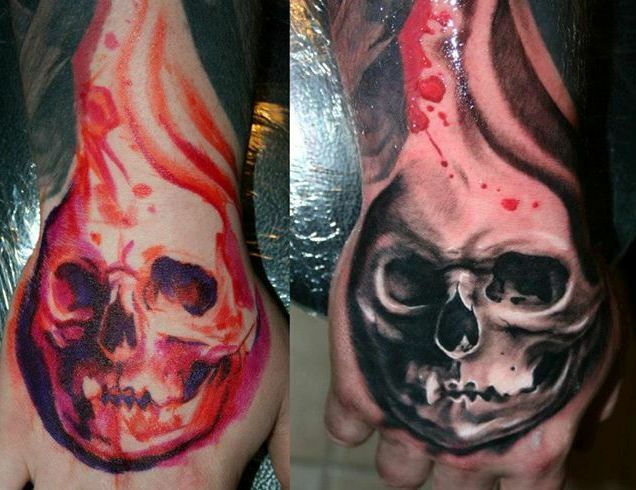 Would you say that color tattoos are quite more challenging? A: No... 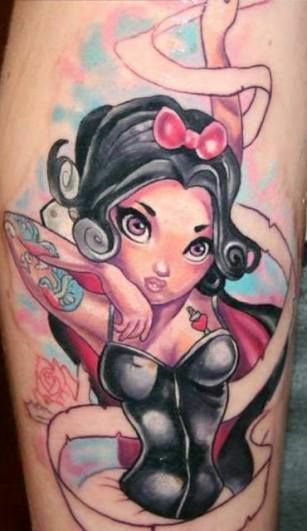 In my opinion color and black and grey tattoos have it's own hitches. Q: Being a creative person, must be a blast. Do you use other art mediums such as painting, photography to get inspired? A: Of course. 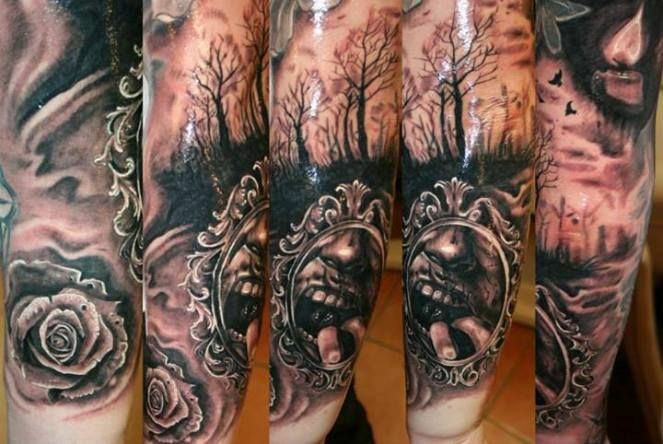 For realistic tattoos, some photos have to be used: I often use pictures for my tattoos, but I always do some changes on them, because I don't want to copy. And photography gives me the basic, so I would pick that. Q: What reaction from a client makes you happy after finishing the tattoo? A: Maybe when I finish their tattoo and they check it in the mirror for the first time, and they smile...Then I know that they are happy. Q: How much an artist is able to bring a new style nowadays? A: I think that we can't really bring new styles, just new themes, and new technical disposals. But we will see. Q: What's the opinion about tattoos in Budapest, Hungary? A: Hungarian people are very creative, have good ideas, and would like to get tattooed. I could say that they are good clients. The only problem is that the most of them don't have enough money to get a tattoo, or get that amount of tattoos that they truly want. The older generations are a little bit more conservative, but nothing very serious. 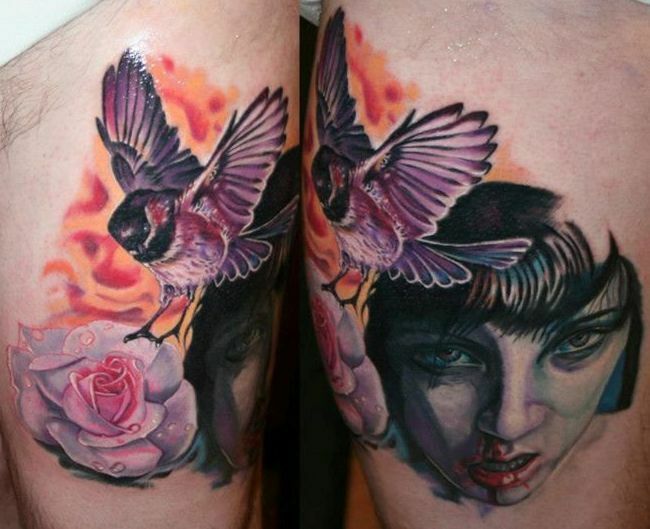 Q: The last year, you worked at "Renegade Tattoo Classic" in Budapest, how was the feeling? What's the next challenge? A: I had good and bad times in the Renegade Tattoo also, but mostly I spend good time there. I'm happy but not satisfied, because I've had and still have problems at giving back the details in the tattoos as much as I can in the drawings. I'm trying to improve it, so this is one of my challenges, and maybe the biggest. Q: Are there any inspiring artists that you would love to collaborate with? A: With a Hungarian tattoo artist, who's called Tamás Baranyi, I think he is the one. His technical knowledge is very wide, and I could learn from him a lot. Q: As an artist, what are some of your greatest challenges or obstacles you face while keeping up a busy schedule at the shop? A: The hardest part for me is when a client doesn't know what h/she wants, and brings the changes on the tattoo over again and again. It drives me crazy, doesn't matter if its a busy day or not. Q: What keeps you motivated and creative? A: The idea of progress, for sure. To become better and better. A: Be patient, tough, and hard-working, learn how to draw, search for a master from you can learn, and respect the "old people" in the tattooing trade, because they treaded the path for us. Please feel free to share your website.